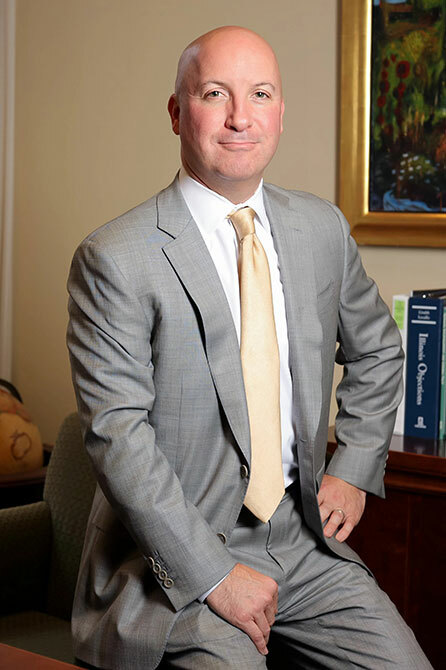 Craig Squillace has worked for a number of years on various cases, particularly vehicular accident cases, at Clifford Law Offices. He also has worked on claims due to medical negligence, product liability, transportation litigation, and municipal liability. In 2015, he obtained a record $4 million settlement in Will County on behalf of a family who lost their 60-year-old mother in a tragic trucking crash. He was part of the Clifford Law Offices team that reached a settlement with a major automobile manufacturing company, a tire dealership and an automobile dealership involving the rollover of a sport utility vehicle that severely injured six passengers. He was also part of the team that obtained an $11 million settlement for an insurance executive who was killed in a small airplane crash. In 2000, Craig contributed to writing a chapter for the Illinois Trial Lawyers’ Product Liability/Premises Liability Seminar on “Motor Vehicle Cases,” a reference tool used by lawyers across the state. In 2007 and 2008 he also moderated a seminar for the Chicago Bar Association Young Lawyers Association. Craig carries a caseload that involves all areas of personal injury work from the wrongful deaths of those killed because of a lack of barriers on Illinois’ highways to those hurt on unsafe premises to construction accidents as well as many vehicular accidents. He tried the case of a young woman who was hurt while riding a bus that lost control and hit an embankment in suburban Mount Prospect. He currently represents the family that was killed when a dentist from Naperville was driving the wrong way on Interstate 88. He was the lead attorney in obtaining settlements for a number of families who had their homes contaminated by mercury. He also worked on the case of a teenager from Downers Grove who was an innocent passenger in the back seat of a car when a bus struck him, causing severe traumatic brain injury and requiring round-the-clock care for the rest of his life. This case was resolved on the eve of trial for $2.5 million. Craig is a hard-working, bright, young attorney with whom everyone enjoys working. He was named one of the Top 40 Attorneys Under 40 by the Law Bulletin Publishing Company in Chicago in 2008. Craig has been elected to the Illinois Trial Lawyers’ Association Board of Managers. He sits on the Chicago Bar Association Judicial Evaluation Committee. He also manages to find time to give back to the community as a part of a dedicated group on the Planning Committee for the March of Dimes’ Comcast Sportsnet Sports Awards. The annual event raises funds for helping children with birth defects. He also sits on the Economic Development Committee for the village of Western Springs. He is a quick study on numerous issues and is willing to put in the work necessary on a case to ensure that it is fully prepared for trial. 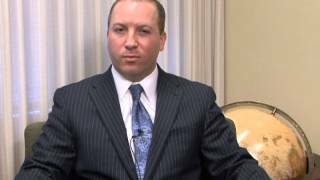 Clifford Law Offices is proud Craig Squillace is a partner at the firm.